So I’ve just got a BEAUTIFUL new camera to replace my Nikon D40. 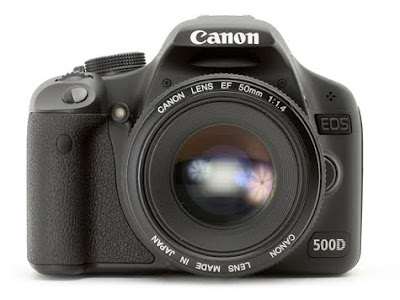 This time I’ve got a Canon 500D which is so much nicer. I sold my old camera and bought a lens with the money I made from it, and I have to say, its pretty darn good! I haven’t used it too much just yet, but I’ve photographed some purchases to show you the quality of the photos and the beautiful things I’ve bought all in one! Firstly I got this gorgeous Union Jack cushion to sit on my bed along with all my other vintage inspired ones. I’ve had my eyes on this for a couple of weeks and decided to snap it up today. Its from TJ Hughes and cost £9.99. I also got this yummy dress from Primark for £7.50. Its so summery and pretty, and I love how it doesn’t look like its from Primark. The print is just gorgeous. A couple of weeks back I also got this book of illustrations. Its called ‘Obsessive Consumption – What Did You Buy Today?’ by Kate Bingaman-Burt, who has drawn everything she bought since 2006. The illustrations are so cute and all have little notes with them. There’s everything from vegetables to batteries, but even the most boring of items seems a little more interesting when drawn in this context. I’d definitely buy this if your into arty things. Its such a lovely little book! I’m popping back into town again tomorrow hopefully as I want to pick something up from the Topshop make up range, so if anyone has any suggestions or recommendations please let me know! oh, i have that camera too! it is fantastic, isn't it? i love that summer dress, its so cute! I SO almost bought that dress today – pretty sure I'll go back and get it after pay day! I love the Union Jack cushion too – been looking for one of these for ages and a tenner is such a good price! Must go find a TJ Huges. I have a canon EOS 500 35 mm! I havent got any film developed off it yet, i'm still learning how to use it!